Paul and Sandra Wallop both grew up with agriculture in their backgrounds. The passion they carry on for Canyon Ranch is a natural evolution in their lives. Paul grew up working on Polo Ranch, Badger Creek Ranch, and Canyon Ranch in Sheridan County, Wyoming all of which operated as cattle ranches and belonged to the Wallop family. At a young age, Paul often found himself horseback working cattle over thousand’s of acres of ground. He loved working with animals and being outdoors but cattle ranching wasn’t where his passion was to rest. Paul’s English heritage of upland game bird hunting and fly fishing would be his lifelong passion. He eagerly absorbed the learning and the art of fly fishing from his father and hunting from his English family. Paul learned how to put on a proper driven pheasant shoot while apprenticing at Highclere Estate in England owned by his aunt and uncle, The Earl and Countess of Carnarvon. As a result, many hunts were had at Canyon Ranch with the guests often commenting on what a fine shoot Paul conducted rivaling only with those hunts guests had attended in England. Paul has a unique understanding of the land he works and the animals that reside there. The high quality driven pheasants shoots held at Canyon Ranch for over a quarter of a century spotlight the perfect culmination of Paul’s talent and instincts. Paul’s passion for fishing began while standing side by side to his father casting flies on Little Goose Creek running through Canyon Ranch. Fond memories of casting a line and landing a trout with his dad are held most dear to him even to this day. It is recalled that Paul is such a fine fisherman he can catch a fish with a stick found lying on the forest floor, only a string and a fly attached then ultimately out-fishing all those around him. His steady and fine abilities as a fisherman ultimately secured an Orvis Endorsement for our Fly Fishing lodge and it was operated as such for years. 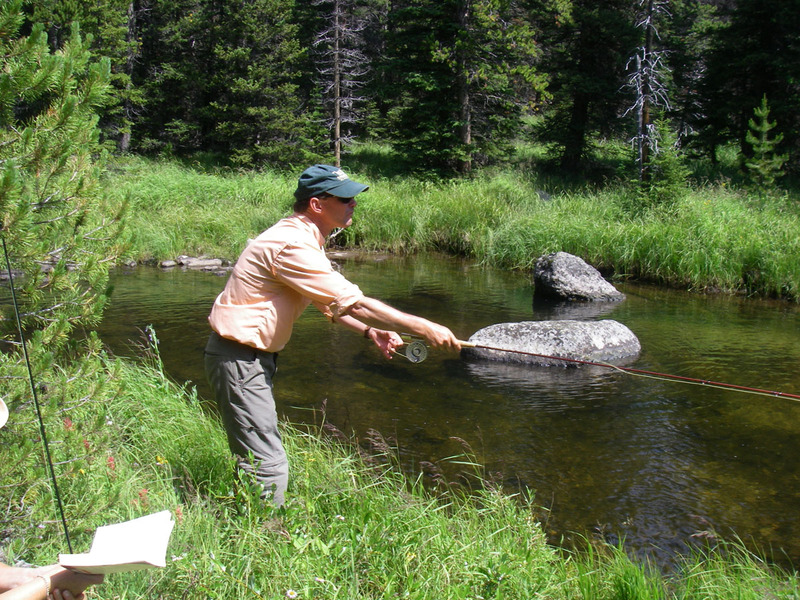 Paul has guided hundreds of fisherman of varying abilities on the ranch, in the Big Horn Mountains, Wyoming streams, and mountain lakes. Sandra grew up in North Dakota where her extended family roots were deeply involved in farming the land and dairy farming. She fondly remembers family weddings that had to be planned around milking times so a wedding would be held early in the afternoon in order for the families to go home and milk their dairy cows. When the afternoon milking was done the families would get re-dressed in their fancy garb and head to the wedding dance that lasted well into the evening. These times created wonderful memories filled with both kids and adults alike on the dance floor kicking up their heels to polkas, waltzes, and lots of lively music late into the night. The evening’s celebration led to a rather slow moving chore of milking the dairy cows around 6 am the next morning. It was on these farms that the first spark of passion for the horse was torched for Sandra when she was a child. This passion has been long lasting only taking a break while raising her two children when parental responsibilities took precedence over horses. As the children went off to college Sandra was faced with an empty nest so it was then she remembered her love for the horse and with Paul’s full support she pursued it. 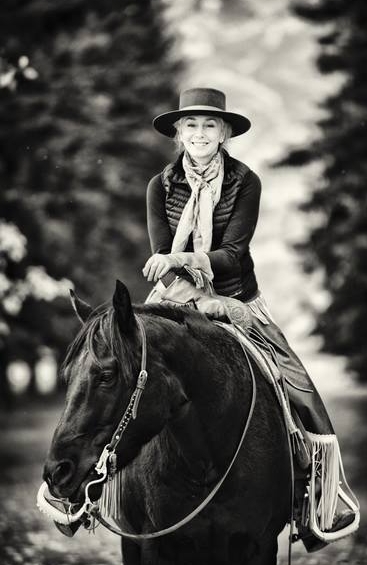 Today she thoroughly enjoys riding her Reining Horses while continuing to learn more about becoming a good rider and refining her skills as a Reiner. Sandra is a perpetual student and horses guarantee an education to never be finished which is one of the reasons she loves it so much. 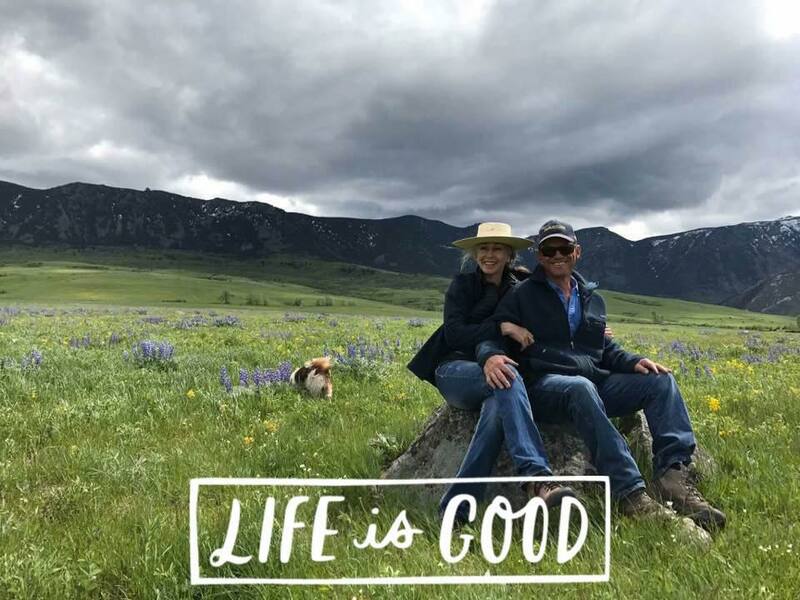 So, it is these stories plus many more that have led Paul and Sandra to be charged with continuing on the family tradition of operating Canyon Ranch in the 21st Century. The ranch has had its ebbs and flows since 1889 but the one thing that has never changed for the Wallop of today and yesterday is the love, commitment, and creativity of preserving our Wyoming ranching legacy.